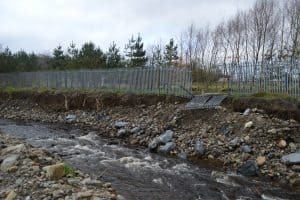 Inishowen Rivers Trust receive funding from the Office of Public Works (OPW) to carry out study into the feasibility of using natural water retention measures in Inishowen. 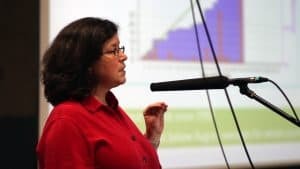 The Inishowen Rivers Trust (IRT) have engaged the services of Professor Mary Bourke based at Trinity College Dublin to carry out a study looking at areas of Inishowen that could be suitable for natural flood management measures. The OPW have granted funding to support the project which will run from January to June 2019. 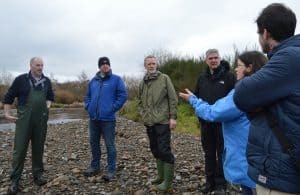 The Inishowen Rivers Trust is a charity which seeks to protect and enhance our rivers for the future and make our communities more resilient to a changing climate. Getting involved in easy and the Trust welcomes volunteers to our work events or those who wish to get involved in monitoring or surveying. Training can be provided and you can find out more on this website (www.inishowenriverstrust.com) or by checking out the Facebook page.